Hillbilly recipe for biscuits and gravy from Mamaw Gerty! 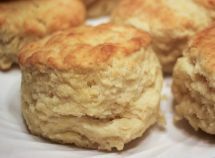 Here is an authentic country recipe for biscuits and gravy. A friend of ours by the name of Merly Jean is going to sit back and write the rest of this out for you all. She is going to describe to you exactly how her grandmother makes her home made biscuits and gravy. Howdy to the folks on the innernet. My name is Merly Jean and I am gonna write some thangs that my Mamaw Gerty is a gettin reddy ta tell me. Why thank ya Merly Jean, no dont write that. Well Ok leave it in then. Lawd that child! Now that I am a famous person on the innernet I figgered I wud tell yall bout a special recipe we got fer making the best delishusest biscits and gravy you ever seed. If n you like to eat atall yore gonna love my recipe. Now mind ya it haint nuthin faincy, just old fashuned good home cookin.